Exciting New Opportunity, Register for Free! Adding a line you can present to your current customers adds money to your bottom line. Have friends and relatives in the city who are interested in reading ( who isn't)? 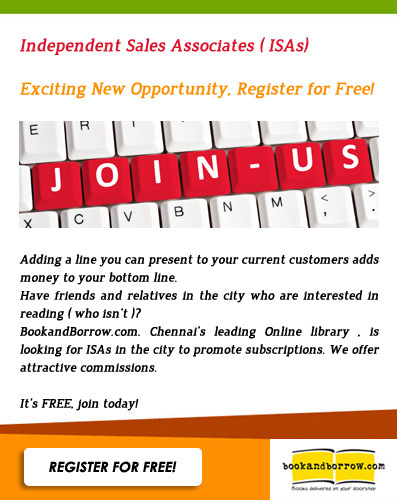 BookandBorrow.com ,Chennai's leading Online library , is looking for ISAs in the city to promote subscriptions.